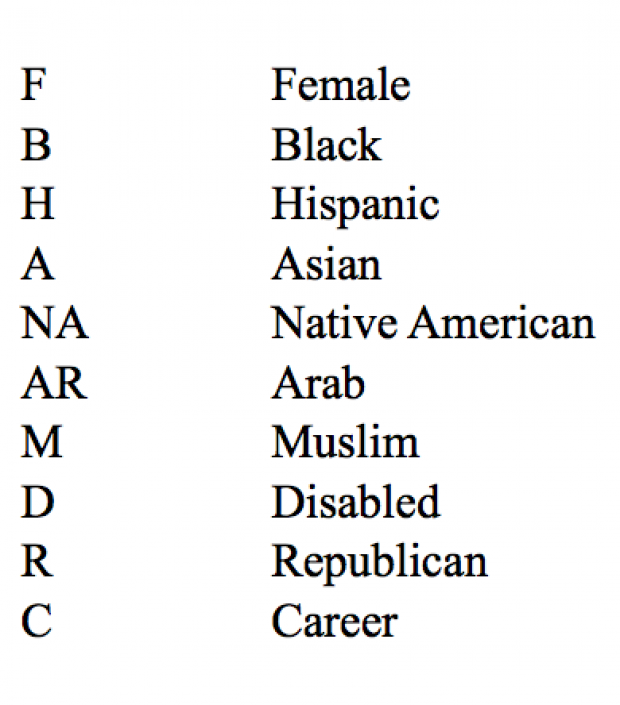 A leaked email from a member of President Barack Obama’s White House transition team in 2008 reveals that if you’re white and not disabled, you are not diverse enough for the Obama administration. The Daily Caller has previously reported on an exclusive document provided by hacker Guccifer 2.0 which showed the Obama transition team in October 2015 labeled political appointees by race and gender. Below is the key they would use. Missing are “white” and “male,” which were clearly not prioritized by the Obama transition team.